Capt. 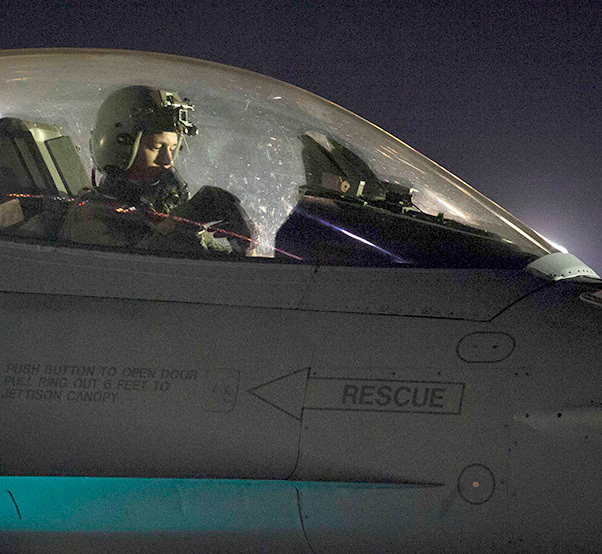 Matt Bender from the 20th Fighter Squadron, Shaw Air Force Base, S.C., conducts pre-flight checks on his F-16 before a night sortie during Red Flag 16-3 July 13, 2016. 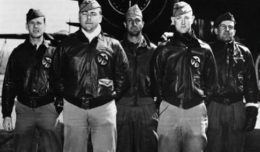 Red Flag is a realistic combat training exercise involving the air forces of the United States and its allies is conducted on the vast bombing and gunnery ranges of the Nevada Test and Training Range. 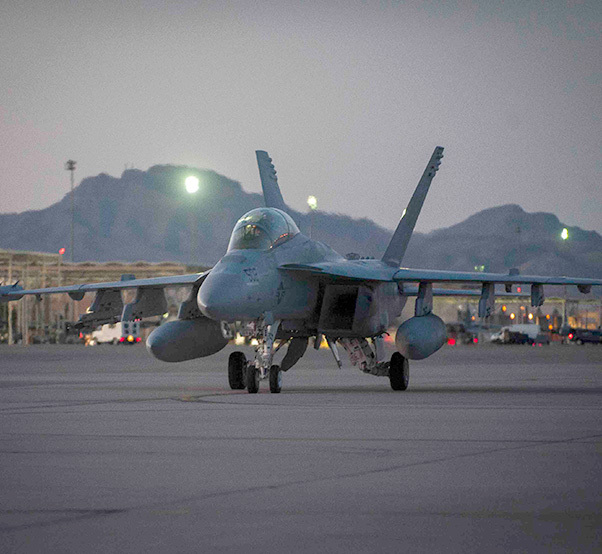 Maintainers assigned to Electronic Attack Squadron-209, EA-18G, NAS Whidbey Island, Washington, standby to recover and assist the aircrew of an EA-18G Growler after completion of a Red Flag 16-3 training sortie July 13, 2016, at Nellis AFB, Nev. A typical Red Flag exercise involves a variety of attack, fighter and bomber aircraft, reconnaissance aircraft, electronic warfare aircraft, air superiority aircraft, airlift support, search and rescue aircraft, aerial refueling aircraft, command and control aircraft, as well as ground based command and control, space, and cyber forces. Senior Airman Timothy Thomasula, a maintainer assigned to the 923rd Aircraft Maintenance Squadron, Davis-Monthan Air Force Base, Ariz., performs pre-flight checks on an HC-130J Combat King II prior to a Red Flag 16-3 night training mission July 13, 2016, at Nellis AFB, Nev. The HC-130J is an extended-range version of the C-130J Hercules transport. Its mission is to rapidly deploy and execute combatant commander directed recovery operations to austere airfields and denied territory for expeditionary, all weather personnel recovery operations, and forward area ground refueling missions. 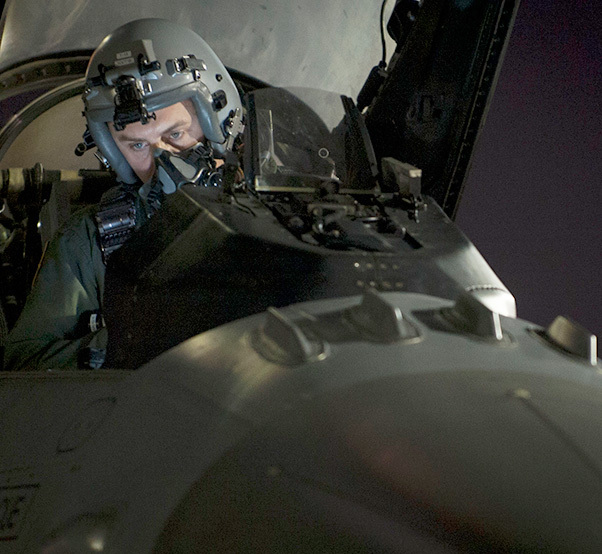 A pilot from the 20th Fighter Wing, Shaw Air Force Base, S.C., goes over pre-flight checks on his F-16 before taking off for a night sortie during Red Flag 16-3 July 13, 2016. Red Flag exercises train Airmen in Air, Space and Cyberspace to better prepare them for future operations. 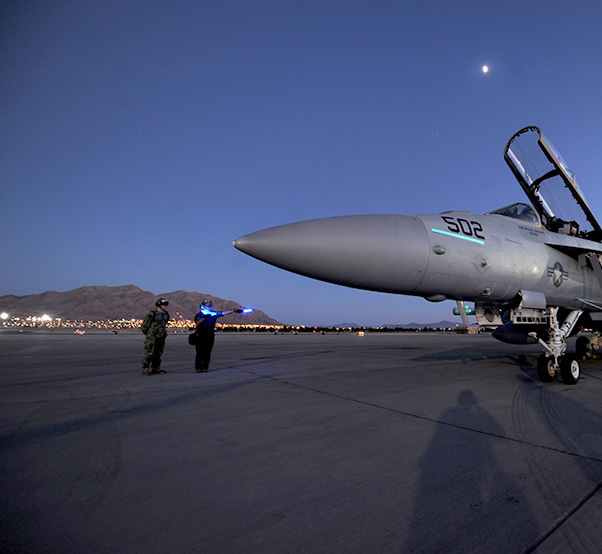 Maintainers assigned to Electronic Attack Squadron-209, EA-18G, NAS Whidbey Island, Washington, standby to recover and assist the aircrew of an EA-18G Growler after completion of a Red Flag 16-3 training sortie July 13, 2016, at Nellis AFB, Nev. A variant of the combat-proven F/A-18F Super Hornet, the Growler provides tactical jamming and electronic protection to U.S. military forces and allies around the world. 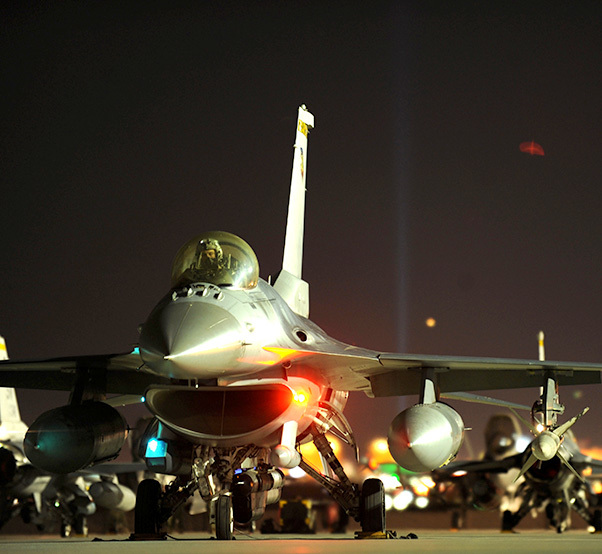 Maintainers from the 20th Aircraft Maintenance Squadron, Shaw Air Force Base, S.C., marshal F-16 CJs into position prior to a Red Flag 16-3 night training mission July 13, 2016, at Nellis AFB, Nev. Night missions play a crucial role in Red Flag exercises, allowing aircrews and maintainers the opportunity to test their skills in challenging low-light conditions. An F-16-CJ from the 79th Fighter Squadron, Shaw Air Force Base, S.C., receives final preparations prior to a Red Flag 16-3 night training mission July 13, 2016, at Nellis AFB, Nev. 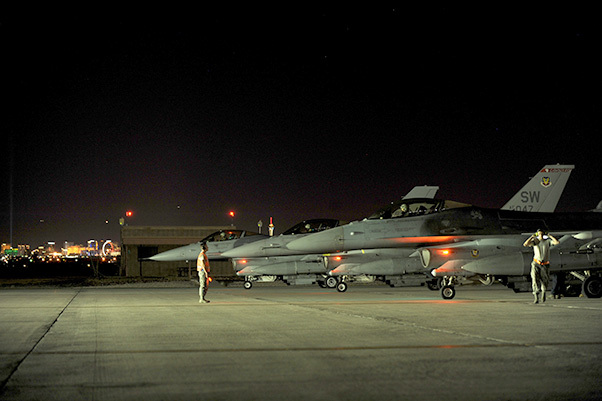 The night operations aspects of Red Flag is crucial for aircrews looking to gain experience in low-light situations, giving U.S. and coalition Air Forces the strategic upper hand in current and future conflicts. An Navy EA-18G from Naval Air Station Whidbey Island, Wash., cruises down the Nellis Air Force Base, Nev. flightline after returning from a training sortie during Red Flag 16-3 July 13, 2016. 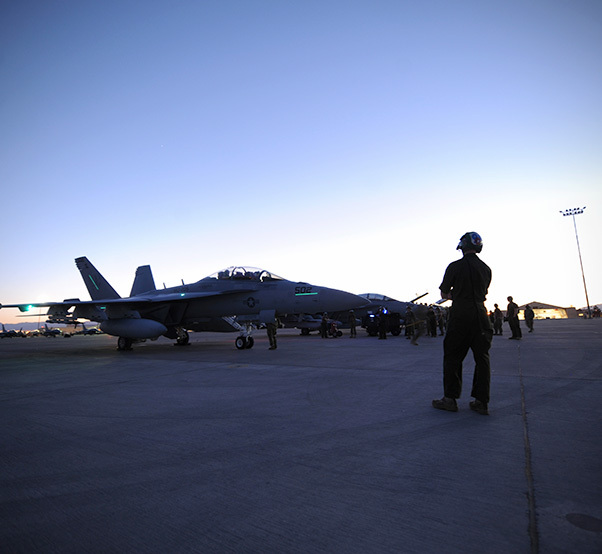 During the exercise, the EA-18G is able to perform electronic warfare in support of air and ground forces.